This week the THSC Watchmen have been flooded with a deluge of new legislation. Each day over 150 new bills are filed. Thus far, we have reviewed nearly 3,000 bills. Thirty of those bills affect home schoolers or parental rights, about ten of which have a negative effect. As part of our process, we speak with the authors of those pieces of harmful legislation about our concerns and our proposed fixes before they pass their bills out of committee. This week, Representative Jonathan Stickland filed a bill to prevent the state from regulating private schools. Since home schools are considered “unaccredited private schools,” the bill would preserve within the Texas Constitution the right to home school for years to come. The bill is House Joint Resolution 45. Recently, the Texas Watchmen added an additional bill to our legislative agenda. In addition to our parental rights and equal access bills, we have begun to work on a bill which would allow home school students to enroll in the state virtual school online program. Currently, only public school students are eligible to enroll full time in the program. Our team has already drafted the bill and secured a likely author in the House of Representatives. We also have an interested senator who may serve as the senate author. 3. Response to the Concern: Will Home School UIL Participation Lead to Restriction of Home School Freedoms? privileges from the state but still face very tough state regulations. sign a form which states that their children are passing their courses and that they are making academic progress. Home school students in Arizona have participated in UIL activities for over ten years. Modeled after the Arizona statute, the THSC equal access bill simply requires that home school students sign a form stating that they are passing their classes and are advancing academically to be eligible to try out for UIL activities. acceptance as high school graduates to vocational schools and state-supported colleges and universities. Additionally, through our work special needs students have enjoyed access to services at public schools for many years, and home school parents have been able to receive public assistance. We also successfully changed the law pertaining to fair treatment of home school parents in regard to child support payments in custody cases. At the federal level, home schoolers are equally eligible for Social Security benefits beyond their eighteenth birthday in similarity to other private or public schooled students. In Texas, home school graduates are also now eligible for federal student aid. None of these advancements have resulted in increased regulation on Texas home schoolers. 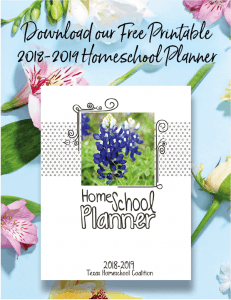 THSC assiduously works to preserve the freedom of Texas parents to home school. The only way to prevent future regulation is to vigilantly oppose any regulation every time the Texas legislature convenes. Within every legislative session, THSC leads the battle against any regulation of home schooling and degradation of parental rights. UIL participation would not be supported by the Coalition if we believed for a moment that the change would jeopardize our cherished rights. Thank you for this well-written article, and for all your hard work, helping home schoolers expand their freedoms in Texas. Please know you have our prayer support, as you work on the front lines of this battle to keep home schooling legal. It is interesting to see the priorities Texas has with regards to legislative initiatives compared to Ohio. We are reading with great interest. God bless!